The higher the stakes are, the greater the lure will be for players, “colluders” (i.e., people working together as partners), and occasionally even hosts of the game to cheat. Match-fixing scandals in European football attest to the fact that cheating and manipulation can even occur on an international scale involving numerous people in order to pull off the scam. Check out the example videos below that indicate why I was so surprised to hear such an obviously incorrect statement from an experienced poker pro I greatly respect. The first video clip from the movie Rounders shows a semi-professional poker player correctly “reading” multiple players in a 7-Card Stud game … “straight up” (i.e., without cheating). This is the skill of determining your opponents’ hands based on poker tells and reads, not cheating or colluding to do so. In this second video clip, you see an example of “collusion” involving the same poker pro and his partner, i.e., “colluder” and very accomplished “card sharp” or “mechanic.” As is the case with most professional cheaters, they communicate via sign language and act as if they don’t know each other. Edward Norton’s character is even verbally abusive to his partner (Matt Damon) while they proceed to rob their opponents right before their very eyes. The terminology and mechanic’s/partnership “moves” that they employ are by the way quite representative of how real cheats “work” in live games. And here’s how you can guard against such cheats in your home games (illustrated by one of the world’s very best mechanics, Steve Forte). Now back to the topic at hand. As I delved deeper into what Daniel actually meant with that statement, it seems that he didn’t literally mean “collusion” itself isn’t probable or possible and that thinking anything to the contrary would be “stupid.” His main point (as far as I understood it) is that the hotly debated, so-called “table-talk” or “Jamie Gold Rule” doesn’t actually deter collusion and that the rule is so unclear that it can’t be universally and consistently enforced. 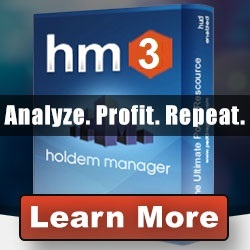 To get exclusive access to all the advanced Texas Holdem strategies and tactics we provide completely FREE of charge, simply drop your name and e-mail in the form below. Let’s get ready to rumble! To get both sides of the argument and a much broader understanding of this “Jamie Gold Rule” debate, listen to this podcast with Matt Savage & Daniel Negreanu (who enters what proves to be a very heated discussion at around minute 27). I think Mr. Savage also makes a lot of good arguments that people shouldn’t just disregard simply because he disagrees with one of poker’s most famous ambassadors. Read over the excerpt of the WSOP rule on player conduct I’ve provided for you below and feel free to share your thoughts on the issue in the comments field. A. The competitive integrity of all Tournament play at the World Series of Poker is paramount. All participants must adhere to the spirit and letter of the Official Rules of the WSOP which forbid play or any action that is illegal, unethical or constitutes cheating or collusion in any form. i. Cheating is defined as any act a person engages in to break the established rules of play to gain an advantage. ii. Cheating includes, but is not limited to, acts such as: collusion; chip stealing; transferring non-value Tournament chips from one event to another; card marking; card substitution; or the use of any kind of cheating device. iii. Collusion is defined as any agreement amongst two (2) or more players to engage in illegal or unethical acts against other players. iv. Collusion includes, but is not limited to, acts such as: chip dumping; soft play; sharing card information with another player; sending or receiving signals from or to another player; the use of electronic communication with the intent to facilitate collusion; and any other act that Rio and WSOP deem inappropriate. B. All participants are entitled to expect civility and courtesy from one another at every Tournament table and throughout the Tournament area. Any individual who encounters behavior that is not civil or courteous — or is abusive in any way — is encouraged to immediately contact a Tournament official. sweet website, rss following now and wish to see lots of similar posts soon. Hi Dylan its been good checking your site and just thought I would say thank you and wish you all the best.